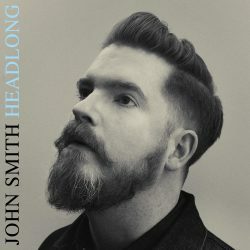 Guitarist and singer-songwriter John Smith has announced the release of his new album “Headlong” which is due out May 19th through BARP Records. Produced by Sam Lakeman, mixed by Ruadhri Cushnan and featuring Cara Dillon on BVs, Headlong – dedicated to the memory of John Renbourn – is the follow up to Great Lakes, John’s well received and Radio 2-supported release of 2013. Smith is trailing the announcement with the first new track to emerge from Headlong, Far Too Good – streaming below. A 24-date UK & European tour began yesterday (sorry Brighton). Speaking about the new single Smith says; “This is one of my favourites from the new batch, I’ve opened all my live shows with this lately. It’s one of those songs that wrote itself, a rare occurrence – I’d just got off the phone with a friend who was having a hard time, so this one is for him”.